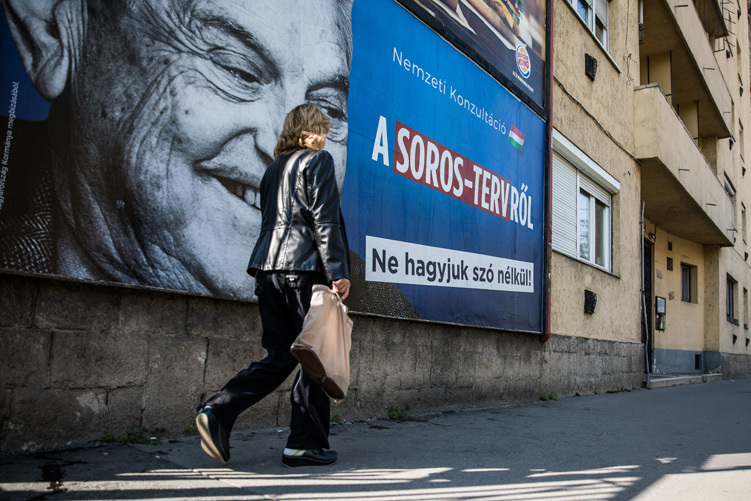 The government is preparing an “anti-Soros bill” that would include the revocation of the tax-exempt status of “migration-advocacy NGOs”, reports government mouthpiece Magyar Idők. The government broadsheet also claims the government is discussing a proposal to ban the Open Society Foundations’ Soros from Hungary. On Tuesday, the government propaganda online daily Origo hinted that the government was about to discuss the possibility of barring the Hungarian-American financier-philanthropist from the country. By leaking such sensationalist information, however, the government forces what little remains of Hungary’s independent media to devote precious column inches to refuting such politically motivated claims having no basis in reality. In this way, the government effectively determines what such media outlets report on as well.